In Texas, authorities are dealing with a rash of timber thieves sneaking onto far-flung parcels of absentee-owned lands and illegally harvesting timber. One-third of the 200,000 east Texas forest landowners live elsewhere, and many are becoming victims. In just four months, landowners reported 20 separate timber theft cases to authorities, many on absentee-owned parcels, which authorities say are often targeted because no one is there to catch the thieves. Illegal timber harvesting not only harms the owner’s economic well-being, but it also damages the land, causing soil erosion, killing plants and animals, destroying wildlife habitat, and compacting soil, among other hazards. The idea of conservation on private lands conjures images of family-run farms and ranches and locals who dutifully care for the land. But many people don’t realize that a lot of open private land is actually owned by people who live far away. Absentee land ownership has both positive and negative implications for conservation. While many absentee owners are conservation-minded, others are not or may misunderstand how to practice good conservation on their land. Generally speaking, an absentee landowner is someone who owns land in one place, but lives most of the year somewhere else. Determining who is “absentee” versus “resident” can be complicated. Jacquelyn Chase, professor of geography and planning at California State University, Chico, found that county tax records showed up to 80 percent of private lands in her study area had absentee owners—some properties were vacant and a few had tenants living on them. But, when she looked into the matter more closely, many supposed absentee owners of vacant parcels lived on the next parcel over. She did some ground-truthing to identify parcels where the owner did not live on or adjacent to the land, and determined only 65 percent of parcels were vacant and had absentee owners. Other studies define absentee owners as those whose primary residence is in another county or those who live in another state for more than six months of the year. “It’s tempting to paint all absentee landowners with the same brush, but each and every one of them is different in their motivations,” says Julia Hobson Haggerty, an assistant professor of geography at Montana State University. 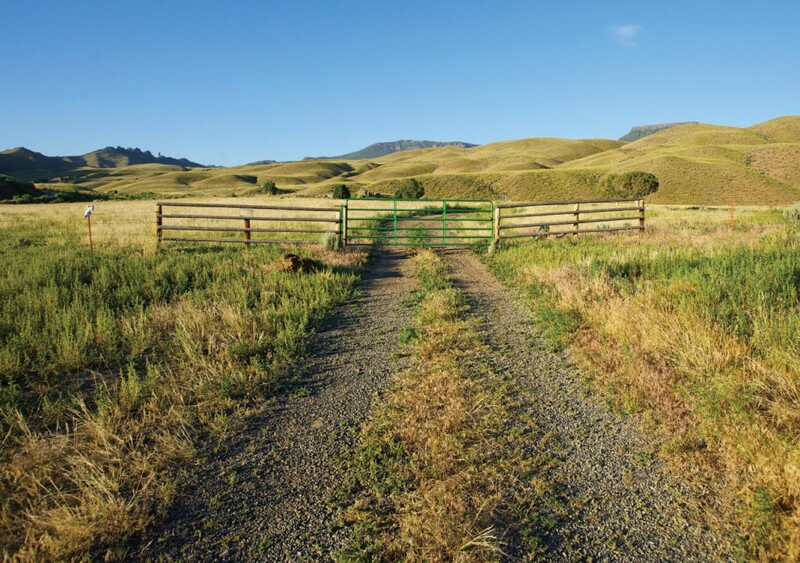 Some absentee owners purchase land for recreation, hunting, or fishing. Others inherit a family ranch. Many buy land to develop it and resell for a profit, while others do it for investment purposes or tax havens. Still others build a second home on the land. Tex Taylor, a professor of agricultural and applied economics at the University of Wyoming, analyzed US Census Bureau data on second homes. He found the Rocky Mountain region has nearly 600,000 “homes for seasonal, recreation, or occasional use.” Second homeownership in Wyoming grew 20 percent faster than primary residences from 2000-2010. The Rocky Mountain region as a whole has greater second homeownership than the national average of 3.5 percent: Wyoming—which has no state income tax—has 5.7 percent, Idaho has 6.2 percent, and Montana has 8 percent second homes. These second homes, ranches, and other swaths of absentee-owned land cover a massive area. 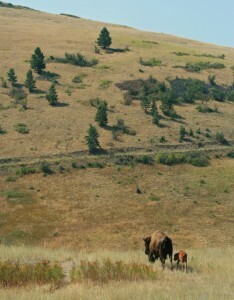 According to research from Haggerty, University of Colorado’s William Travis, and Hannah Gosnell, an associate professor of geography at Oregon State University, a quarter of the Greater Yellowstone Ecosystem’s 18 million acres are privately owned, with ranches making up the largest chunk. Pinning down exactly how much acreage belongs to absentee owners is tricky, but the researchers analyzed properties that changed hands between 1990 and 2001 and found 62 percent were sold to people who lived out of state. Many of these owners purchased the land for “amenity” values, and many live far from their parcels. The study states, “This 12-year slice of ranch sales suggests a significant ranchland ownership transition to a new type of owner is, indeed, underway in the Rockies.” Along with this ownership transition come ecological challenges and successes. Landowners—absentee or not—are in a position to protect, preserve, or restore the ecological characteristics of the land, with implications for their neighbors and the public. For example, they might combat invasive species, enhance wildlife habitat, protect water quality, reduce soil erosion, preserve open space, or even protect ranching culture. Such conservation activities can be a lot for any landowner to take on. For example, some new landowners don’t actively manage weeds on their land, believing not touching the vegetation equals good management. However, seeds from non-native invasive species can quickly spread to neighboring lands, causing problems for working ranchers and others. Petrzelka found that absentee landowners were generally less financially dependent on their land than resident landowners. In some cases, this meant absentee owners invested more money in conservation measures. In other cases, they disregarded conservation since they weren’t as reliant on the land day-to-day. In one study in the Midwest, Petrzelka found more female absentee landowners than male, including many elderly widows or daughters who’d inherited the land. “Women landowners lease out land more often than male landowners,” says Petrzelka. “They give that [decision-making] power to the tenant operator, so for the most part, it’s the farmer who’s renting the land who’s making the conservation decisions for what will be done or won’t be done.” Many tenant farmers only have annual contracts, which do not provide incentives for participating in long-term conservation programs. Many people, particularly men, who own absentee parcels use their land for recreational activities such as hunting and fishing. While these activities often leave lands open and preserve scenic views, they can cause conservation problems in some situations. For example, around Yellowstone, some landowners installed private trout ponds, which are associated with a variety of negative impacts such as diverting water from streams, raising stream temperatures, and harming native fish populations, according to Gosnell. Such amenity owners may not even know their actions are harmful to the land and their neighbors, since they’re less likely to have contact with local natural resource agency staff. In Chase’s study, the local fire-safe council spent a great deal of time trying to track down landowners as far away as England. With limited resources and difficulty reaching far-away landowners, such efforts detract from focusing on conservation-related issues and providing landowners with attention and assistance. Furthermore, the lack of contact can create distrust and make owners even less likely to take advantage of conservation programs. In other cases, however, absentee landowners include “conservation buyers” with the interest and money to keep large landscapes intact and ecologically functional. “There is a significant sub-population among absentee owners who are quite committed to conservation and restoration who also have the financial and intellectual means to effect real change on the ground,” Gosnell says. 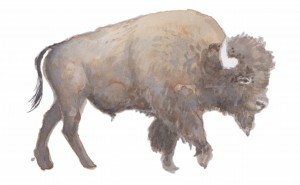 For example, Ted Turner restored native trout on his Montana ranch while Tom Brokaw switched from cattle to bison on his ranch near Yellowstone to reduce conflict with wildlife. “Bison could defend themselves better against the wolves and grizzlies, which reduced conflict and stress for him,” Gosnell says. On those lands where absentee owners aren’t aware of conservation opportunities, targeting specific groups helps, according to Petrzelka. For example, messaging that emphasizes how conservation can enhance wildlife habitat may motivate absentee landowners who use their land for recreation or hunting. Landowners who lease their land can use another tool to promote conservation: lease provisions. According to Petrzelka, The American Farmland Trust is studying ways to work with absentee landowners to add clauses and incentives to leases to encourage good land management practices. A lease could lower rent or extend from a single year to three or more years if the tenant implements certain conservation practices. While official outreach strategies and legalistic lease provisions promote conservation, one tried-and-true Western strategy is also helping: being neighborly. Gosnell says, “I know a lot of county extension programs in high amenity areas make a point of reaching out to newcomers.” She’s also heard of absentee owners holding cocktail parties to compare knowledge about the native species they are working to restore on their land. As more lands change ownership in the West, finding ways to make conservation happen on absentee owned land will only become more important. Kristen Pope is a freelance writer and editor who specializes in science and conservation topics and lives in Jackson, Wyoming. Her last story for Western Confluence was “National Parks Respond to Climate Change,” winter 2016. Find more of her work at kepope.com. Land is forever and the stewardship of land is by owner over time. Someone is always first with a new idea and someone has to be last to change from the old ways. The same is true in land ownership which really is impacted more by federal tax policy than wise land use. Often times the law of “unintended consequences” has more impact on how land is managed and used than in the goals were to make changes. This story adds little to the debate and does not explain the mess that Jackson Hole missed for employee housing and land sliding downhill.